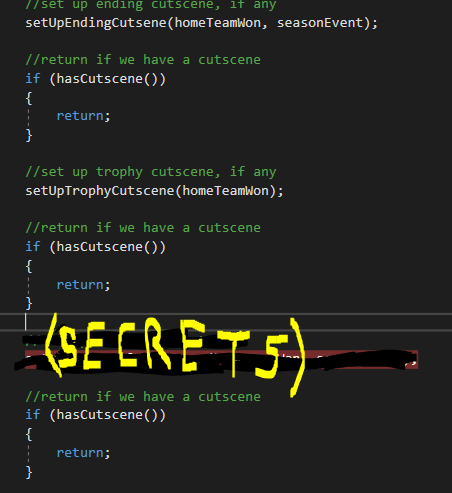 There’s a lot to not show off this week, as I have been working on the [SECRETS] pillar of Season Mode. This new mechanic takes a back seat to the more important cutscenes, such as endings, and awarding trophies. 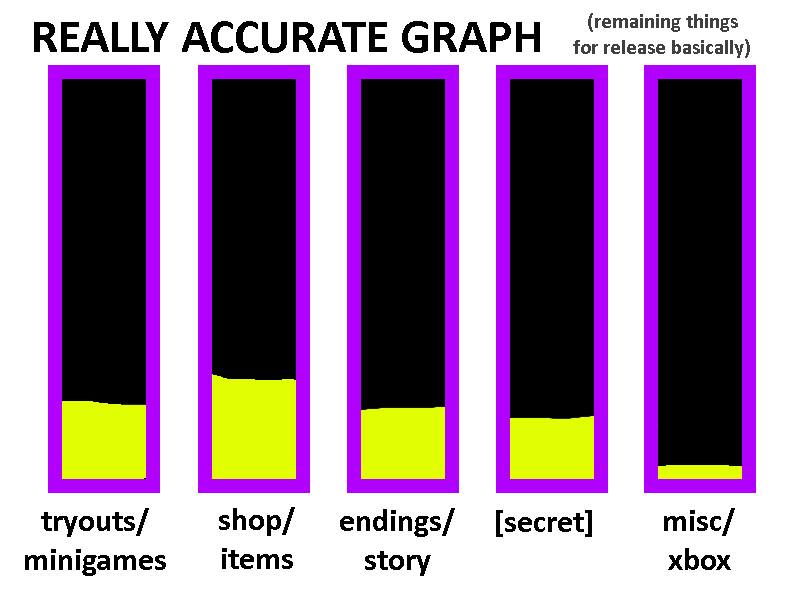 So there was work to be done getting the [SECRET] cutscenes prioritized and firing correctly. This also broke some stuff in the co-op ending, which needed work anyway, so overall the cutscenes are in better shape. While I was at it, I found a bug that showed up at MAGWest: after a while Season Mode would start quitting to title after each match. I have not quite gotten the new mechanic completely functional. It is partly in place however, with placeholder art, text on the player selection screen and a basic interactive prompt, as well as saving the choice and whether the new mechanic is active. I was hoping to end the week on another nice clean milestone, but there’s still work to be done on this feature. And if it’s not painfully obvious, I’m not talking about it just yet! Unfortunately, that’s about all I say this week without spamming the blog with [SECRETS!!!]. Adios!